His book is a thorough study of the history, story and evolution of the Cornish language and is still available today. It is a necessary addition to the library of the serious student of the Cornish language. The original manuscript is now held at Kresen Kernow, a site which is currently under construction and will ultimately house many Cornish archives. Henry Jenner’s interest in the Cornish language began, when he was a young boy at St Columb Major. Robert Morton Nance discussed this in his book, Cornish Beginnings. It was in 1869 when Henry Jenner was working as a clerk in the Probate Division of the High Court, that he received the news that he had been nominated by the Primate at Canterbury for a job at the Department of Ancient Manuscripts in the British Museum. Jenner’s father was Rector of Wingham, Canterbury at this time and able to accommodate Jenner there. This was the ideal place for Jenner to uncover, read and squirrel away information on his beloved Cornwall and its ancient language. Henry Jenner began to formulate and hone his future academic work on Celtic languages, reading papers on the Manx and Cornish languages, amongst others. But it wasn’t until 1877, while working in the depths and passages of the British Museum that he discovered a medieval play, comprising only 41 lines and written in Cornish in 1450, on the back of a charter dated 1340. On the back of a charter in the British Museum the present writer discovered in 1877, a fragment of 41 lines of a Cornish verse. The writing was very faint, indeed the MS, had passed through other, and by no means incompetent hands without this precious endorsement being noticed, and the finder might have missed it too had he not been deliberately looking for possible Cornish words on the backs of a number of charters relating to St. Stephen-in-Brannel, after he had finished the necessary revision of the cataloguing of these documents. The date of the document is 1340, but the Cornish writing on the back is somewhat later, perhaps about 1400. The language and the spelling agree with the those of the Poem of the Passion and the Ordinalia, and the exact metre is not found anywhere else. This was his Rosetta Stone. Following Jenner’s publication of, A Handbook of the Cornish Language, interest in the Cornish language took hold. Jenner’s version of Cornish was based on the form of the language used in West Cornwall in the 18th century. 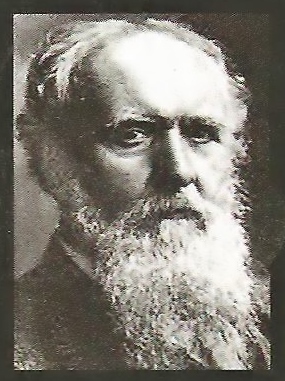 Jenner’s spelling and pronunciation was mainly influenced by Edward Lhuyd and the tradition of speaking Cornish of its last speakers. It was his pupil Robert Morton Nance who would give the language revival a stronger mediaeval influence. He wrote several essays on the subject, discussing in great detail his research on the origin of the Cornish language and its evolution over the years. He describes Cornish as being one of the seven recognised Celtic languages, belonging to the type known as Aryan, originating within the Himalayan region. The Cornish language which at one time was spoken all over Cornwall, eventually began to die out as more spoke English. Cheston Marchant was recorded by Borlase as being the last person to speak only Cornish. It is interesting to note that she died at Gwithian in 1676, reputably at the age of 164. Mrs Dolly Pentreath has erroneously been recorded as the last Cornish speaker in Cornwall in 1768, but a Mousehole fisherman called William Bodenor, who died in 1794, wrote a letter in Cornish and English which the antiquary Daines Barrington contributed to the Archaelogia Cornu-Britannica by Edward Lhuyd. There are several notable records of Cornish being spoken later than Dolly Pentreath – but she gets the publicity. According to Jenner, it was sometime between 1875 and 1890 that there was no one left who either spoke or could write in Cornish. Jenner’s mother in law could only recall being able to recite the Lord’s Prayer in Cornish but had forgotten it as she became older. This lady, Mrs W J Rawlings, died in 1879. Henry Jenner details many names and instances of Cornish language speakers in his essays on the subject. Henry Jenner was born on the 8th August 1848 at St. Columb Major to Henry Lascelles Jenner, a curate at St Columb Major church, who was later consecrated (not enthroned) as Bishop of Dunedin, and whose own father was Herbert Jenner Fust. Henry married Kitty Lee Rawlings in 1877, the year he began working at the British Museum. Kitty Lee was already an established novelist. Henry was a Tory and a Jacobite and both he and his wife supported the Order of the White Rose, which he founded in 1891 and of which he was Chancellor. Jenner stayed at the British Museum for over 40 years until 1909 when the couple retired to Hayle, Kitty’s birthplace. Jenner became Librarian at Morrab Library and remained there until 1927. He was also President of the Royal Cornwall Polytechnic Society and the Royal Institution of Cornwall. Jenner died on the 8th May 1934 and is buried at St Uny’s Church at Lelant. The whole object of my life has been to inculcate into Cornish people a sense of their Cornishness. Mr. Henry Jenner, F.S.A., who died at Hayle, Cornwall, on Tuesday at the age of 85, was an authority on the ancient Cornish language, of which he had compiled a dictionary. He was the only son of Dr. Henry Lascelles Jenner, the first Bishop of Dunedin, and a grandson of Herbert Jenner-Fust, Dean of the Arches and Master of Trinity Hall, Cambridge. For 40 years he was on the library staff at the British Museum. He was the senior bard of the Cornish Gorsedd, and had a striking appearance, being tall with a long white bear. He was a composer and produced “The Cornish Song Book.” He married Kate Rawlings, novelist and writer on art. The funeral will be at Lelant on Saturday at 12.15, after requiem Mass at Downes at 11 o’clock. Mess delyrf ny dworth drok.